Did you know that there are a lot of estate sale companies out there who don’t only focus on settling someone’s estate when they die? Even though that is the traditional definition of an “estate sale,” Many companies (including ours) also help to clean out services homes when people are ready to move, downsize, or just sell some of their stuff. It’s more effective than holding your standard garage sale because you deal with professionals who know how to price items and promote the sale to get people in the door. You can get in touch with us anytime if you are looking for estate sale services, Atlanta or otherwise. We have franchise operations spreading across the country. If you do not have a local Certified Estate Sales branch, you may soon have one! Downsizing doesn’t have to be a bad thing. Liquidating the things you own once in a while helps you keep items that are important and get rid of the ones you don’t need. Kids move out. People get older and grow to various different sizes… The things that we like to have around and on our walls change, so why shouldn’t we do some spring cleaning and make money at the same time? By using our estate clean out services, we get to trim down all of our stuff while making a little bit of money in the process, it’s a win-win. How does an estate cleanout work? The first step would be to book an estate cleanout appointment with us. You can do this by calling or by filling out one of the forms here on the website. We will arrive at the home to take a look at the belongings you are liquidating and meet you to find out your expectations and needs. From here, we will set up a pricing plan for you. Pricing hinges on how much needs to be moved, sold, and donated. We handle and staff everything for you, but pricing will reflect the amount of work we are taking on with your project. 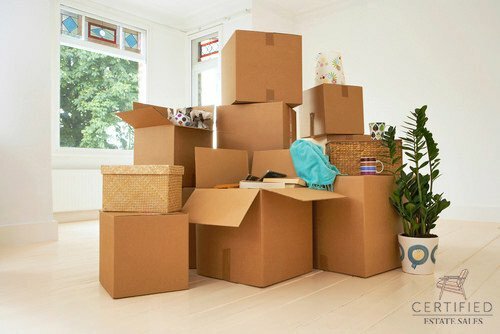 Items are removed from wherever they may be located and moved into the home where they can be put on display in better ways for the sale. Much of selling and making items look ready to take home is about staging the home and making sure your space is optimized. There are, of course, estate sale items that will be left outside. The ones that fit outside will always be left as is. Tools will be left in the shed, etc. Once estate sale staging of the home has been completed, an estate sale will be held. Usually, this happens over a weekend to maximize people who will be able to come to the sale. If a weekend is not convenient or not enough time for the estate cleanout to take place, other arrangements can be made.